The right protein powder can make all the difference in your health and nutrition goals. But, with so many different protein powders on the market, it can be hard to find the good among the bad. 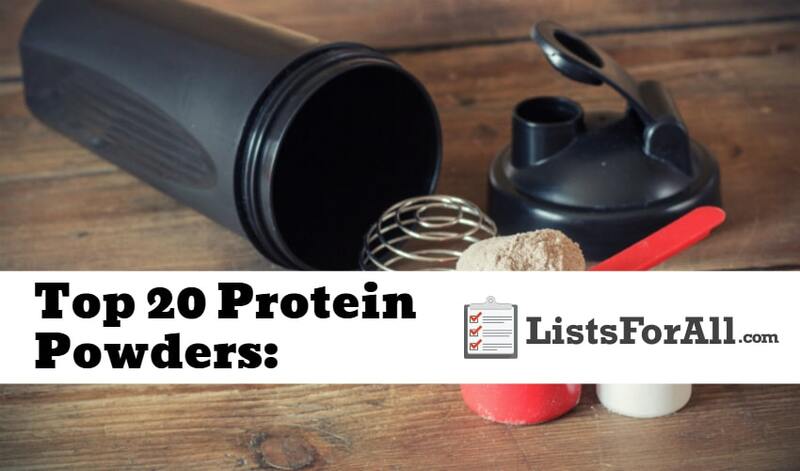 That’s why in this list of the best protein powders we detail 20 protein powders that are a cut above the rest. All of the protein powders on this list are highly rated and pack some serious performance punch. Most are quite tasty too, ensuring that your protein shake is something to look forward to. So whether you are a serious athlete, or just need an extra kick of protein in your diet, take a look at this list of the best protein powders. And, for even more health and nutrition know-how, check out our list of the best supplements for men and our list of the best supplements for women. 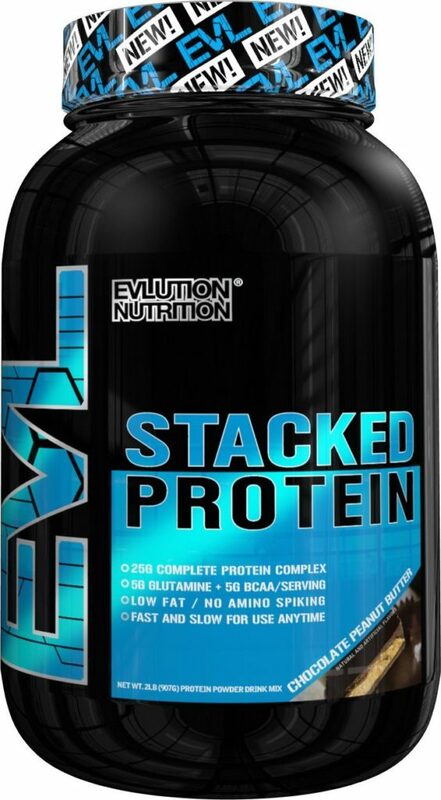 Evlution Nutrition Stacked Protein comes with 25 grams of protein, 5 grams of BCAAs, and 5 grams of Glutamine per serving. It is also tasty and has a fast and slow protein release. A lot of fitness enthusiasts have turned to Evlution for their protein needs, and it is easy to see why. There is a reason why the words “Gold Standard” are used in the name. 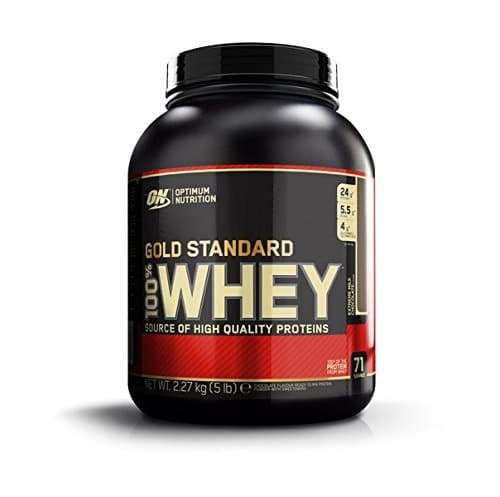 Optimum Nutrition’s 100% Whey Gold Standard is the gold standard in the protein market. At only 110 calories, this protein powder packs 24 grams of protein and 5 grams of BCAAs per serving. It is perfect for those looking to meet their protein needs without taking in too many calories. Casein protein is designed to be taken before bed. The reason why is because it digests more slowly and stays in your system longer. This will allow for your muscles to repair and regrow at a much higher rate as you sleep. 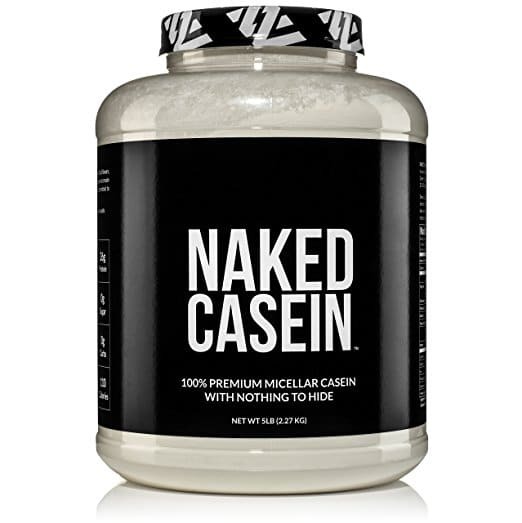 If you are looking to maximize your muscle growth, Casein protein is a must. With 18 grams of protein from hemp, pumpkin seeds, and peas this is a great plant-based protein option. 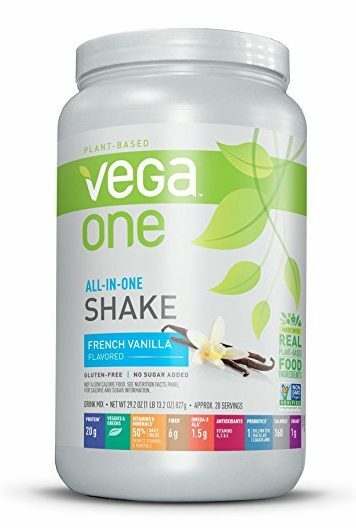 Add in that it is gluten, soy, and dairy free while also tasting great, and you have one of the best overall protein powders out there. 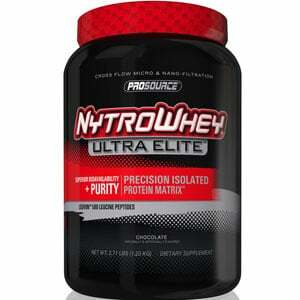 Highly rated for taste, this Prosource Nytrowhey Ultra Elite protein is also a high-quality protein. This protein powder is going to combine whey isolate with hydrolysate proteins. So if you are looking to put on some serious muscle mass, Prosource Nytrowhey may be just what you are looking for. 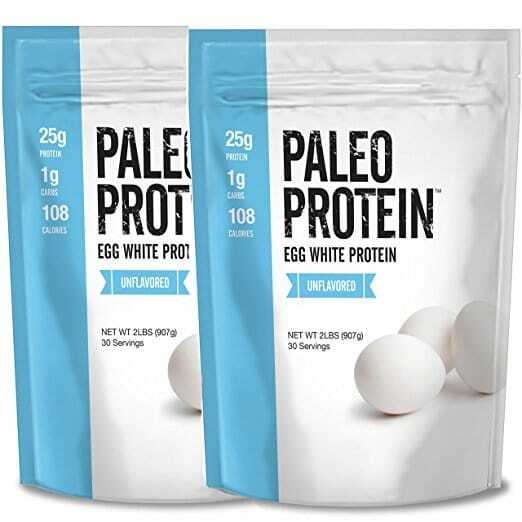 If you are looking for an alternative to the typical protein, egg white protein may be a good option for you. This product is going to give you 25.2 grams of low-carb and no fat protein per serving. 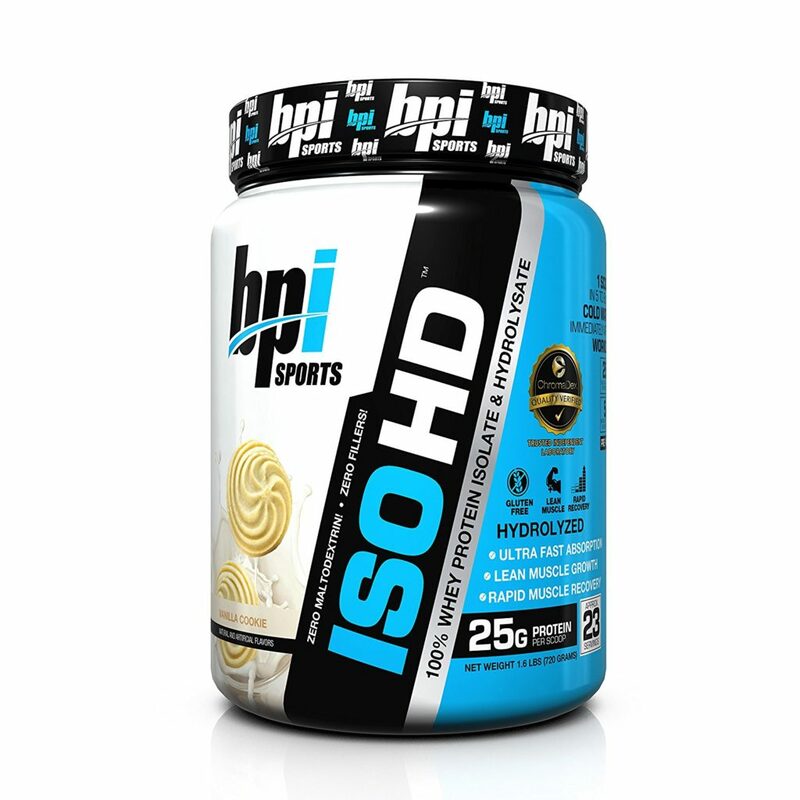 Chock full of purified whey isolate and hydrolysate, BPI Sports ISO-HD digests quickly. This quick digestion is going to help the protein get to work on muscles even faster. To jump-start your muscle growth, this ISO-HD protein powder is one of the best on the market, so be sure stock up. 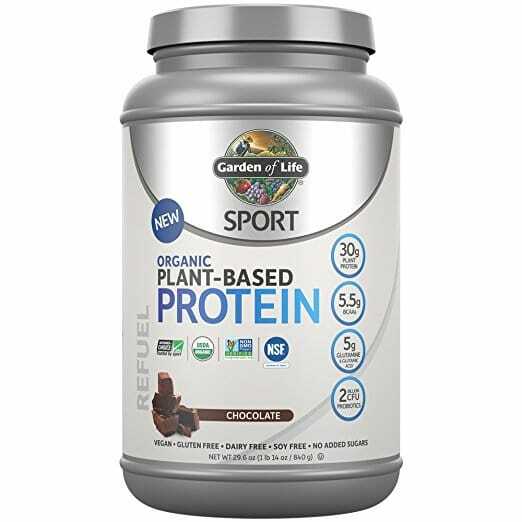 Garden of Life Sports Protein is a plant-based protein. It includes organic pea, sprouted navy bean, sprouted lentil bean, sprouted garbanzo bean, and cranberry protein. 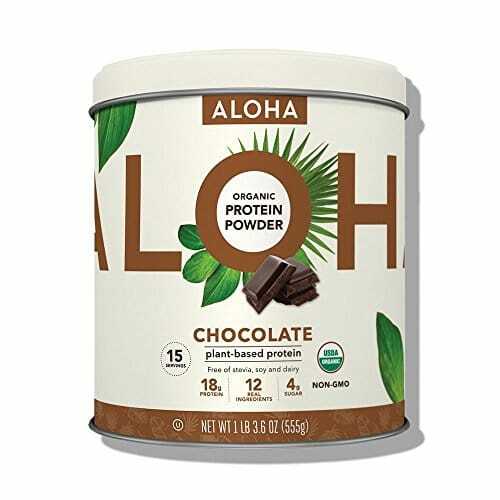 With 30 grams of protein per serving, this plant-based protein is a great option. 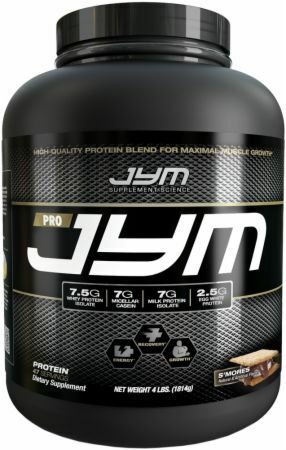 Pro Jym is a great all-around protein powder. 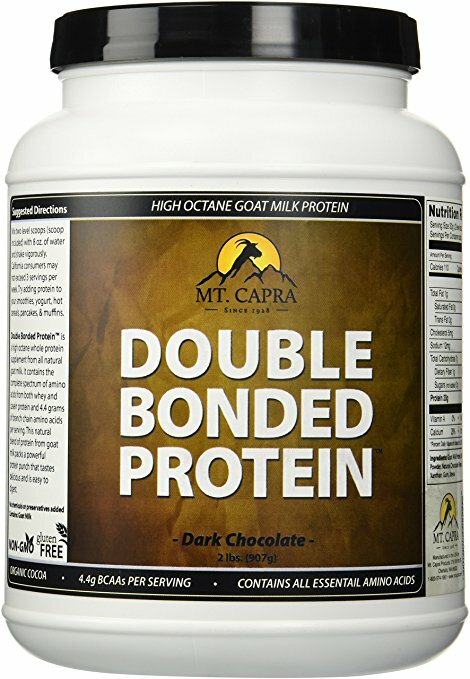 It is a blended protein supplement that consists of high-quality whey, casein, and egg proteins. If you are looking to try something new and want to increase your muscle mass, try this protein. It is also one of Bodybuilding.com’s favorites. This protein is going to include a combination of whey proteins and casein. It comes from a small family run farm that uses the milk from the goats on their farm. If your body doesn’t agree with cow milk, try this protein out. This protein is plant based and is going to be made up of a raw organic pea, cranberry, and hemp seed protein. There are also no sugars, gluten, or sweeteners. 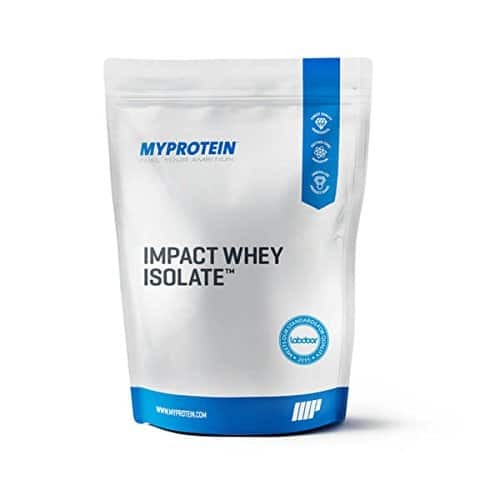 If you are looking to reduce body fat and increase lean mass, Myoprotein Impact Whey is just the ticket. 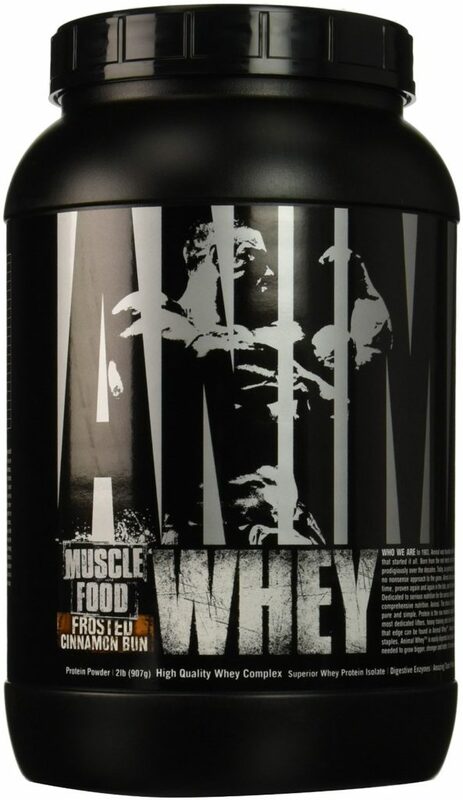 This 100% whey protein concentrate is low in fat and carbs, but chock full of whey protein. This is going to make it the ideal protein for those looking to build muscle mass. 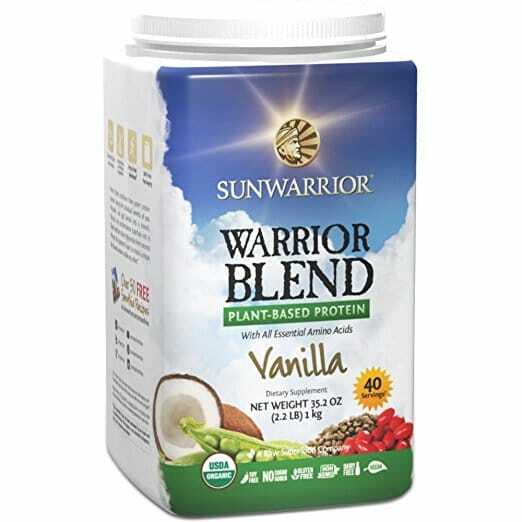 This powder provides 20 grams of protein per serving, as well as a healthy dose of probiotics. The Probiotics will not only help with gut health but will also provide you crucial BCAAs for muscle development. Not only will this protein come with 20 grams of protein per serving, but it also includes 50% of your daily food-based vitamins and minerals. Along with it covering a good portion of your health needs, it is also quite tasty as well. Universal Nutrition’s Animal Whey contains pure whey protein with high-quality isolates. It also comes in a variety of different flavors for those who have specific protein taste buds. The protein powder’s digestive enzymes also make for easier digestion, a great bonus for those with sensitive stomachs. 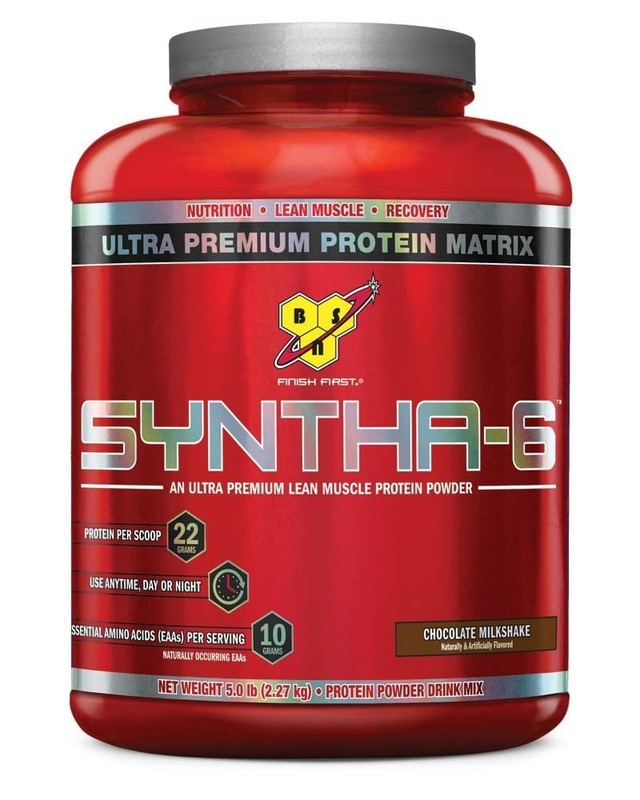 Highly rated by consumers, the BSN Syntha-6 packs a punch with 22 grams of protein per scoop. It also provides 5 grams of fiber per serving and 10 grams of essential amino acids. 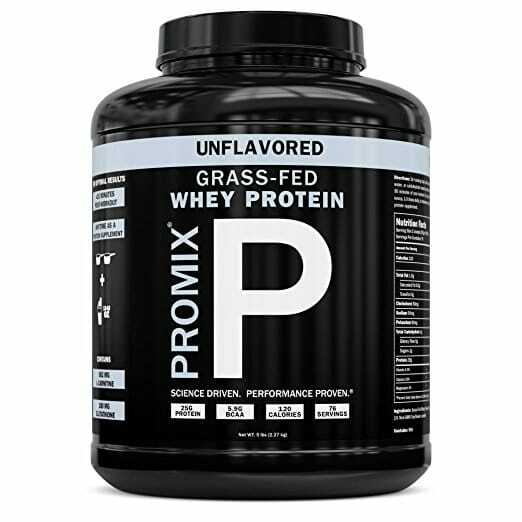 Made of premium whey protein isolate, this fast absorbing and digesting protein powder is a great choice. 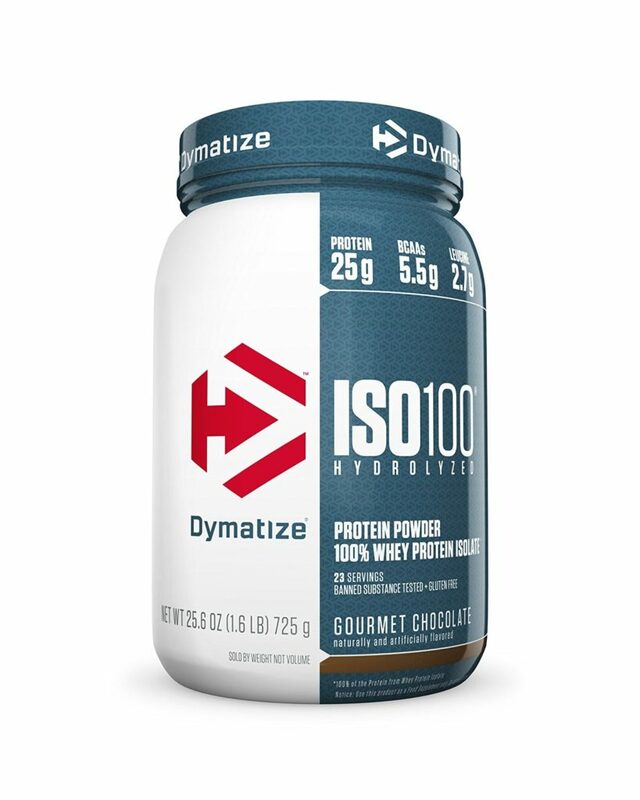 And, each serving of the Dymatize Iso-100 features 25 grams of protein. This will ensure that you get plenty of protein punch with each use. 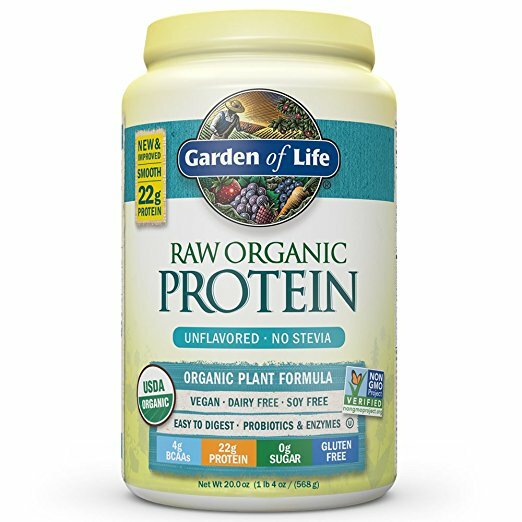 This protein powder is comprised of 13 raw and organic sprouts. It is also going to provide 22 grams of protein per serving and is gluten-free. 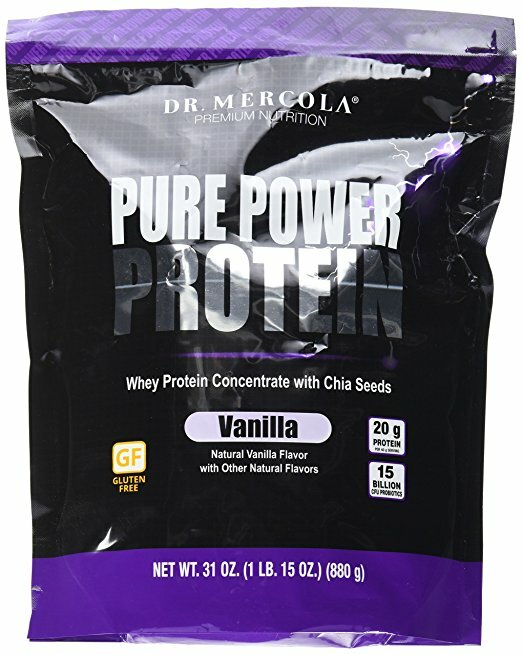 Add in having 0 grams of sugar, and you have a winner for one of the best proteins on the market. This protein packs 25 grams of protein per serving. The protein comes from the highest quality milk. It is from cows that only graze on grass year-round. There are no hormones, and it is never bleached. This protein is GMO-free and is also going to include 3 grams of prebiotic vegetable fiber. This vegetable fiber is great for suppressing hunger between meals. 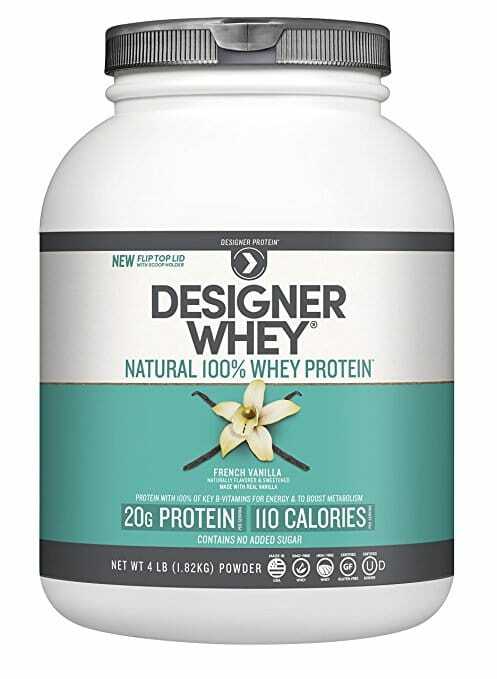 So if you are looking to lean down or lose weight, you might want to try this Designer Whey protein. There are different protein powders for different goals. So it is vital that you find the right protein powder for your specific needs. This list of the best protein powders was designed to help you do just that. Looking for more fitness inspired lists? Check out our lists of fitness sites, bodyweight exercises, and TRX exercises. Also, if you have already tried one of these proteins before, we would love to hear your feedback in the comments below.